Hey there friends! It's Theresa from True Life I'm a Teacher! 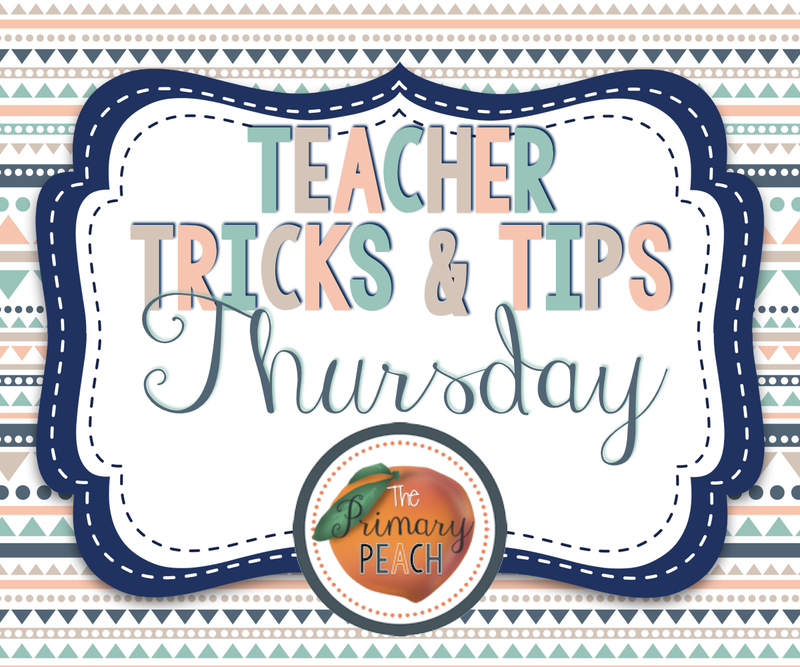 Today is all about Teacher Tips & Tricks :) Who doesn't love a good teacher tip?!? The countdown is on! ONE week from TODAY, I will be meeting my sweet seconds (and their parents)! EEEKKK! Where has summer gone??? 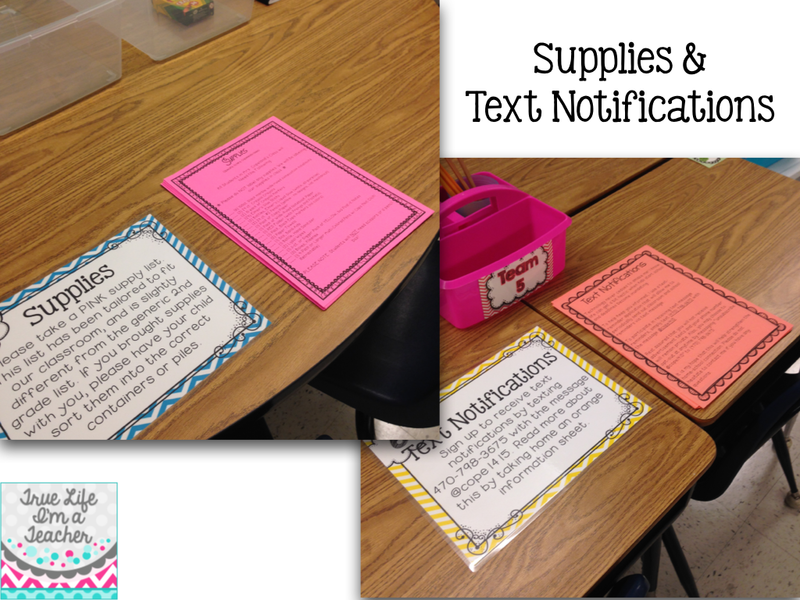 I've been spending lots of time in my classroom lately, and things are finally starting to look better...I think. I hope. Fingers crossed! 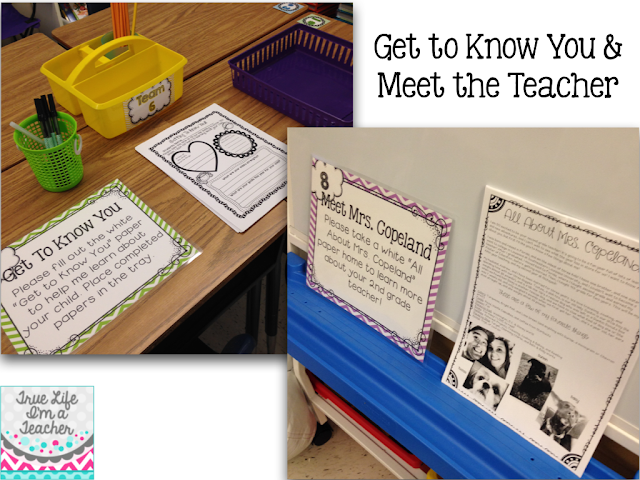 I am so excited to meet my new students, and as usual, I am super nervous! I mean, I've spent all summer thinking about my new kiddos - what are their names? what are their interests? personalities? and uhh, how many of them are there??? Haha! I gotta tell ya...I love sneak-a-peek (this might be called meet the teacher/open house/back to school night at your school)! But I also hate sneak-a-peek! Don't hate - I'll explain! I love meeting my students and their families, but at the same time, there's only ONE of me, and so many people to meet! Plus, there's about a million things to try to get accomplished, and ya'll...parents are short on time! It's hard to remember, and keep track of everything! 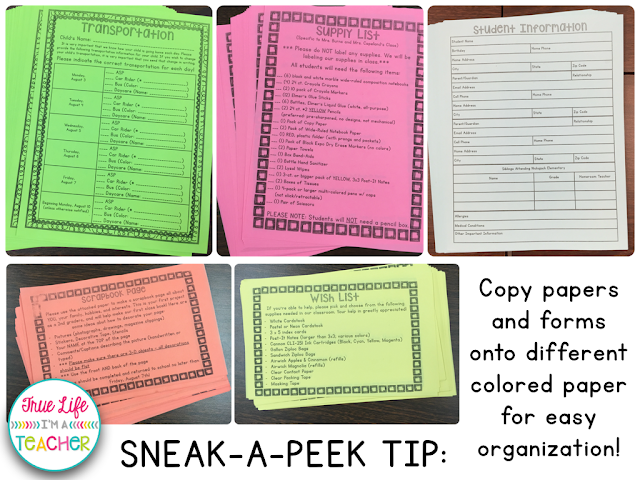 Fortunately, a few years ago, I started using STATIONS for sneak-a-peek, and it was a HIT (with parents AND with me!). 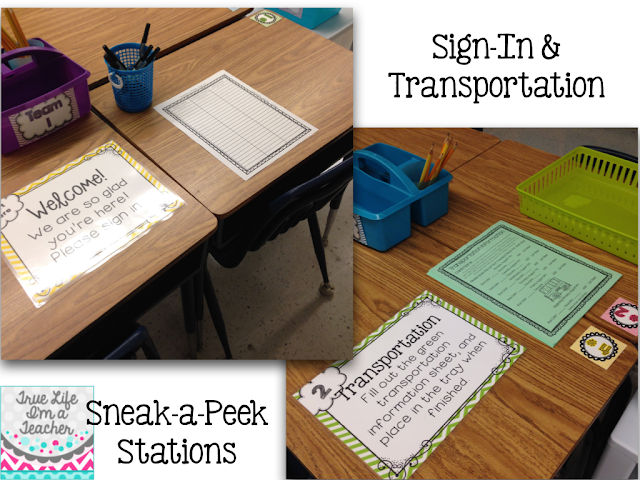 Stations (think of these like centers, almost) are set up and spread out around the classroom. Each station has a different "task." This depends on you, your classroom, and your school. I have 10 - but you may only need 6. Just depends on what all you want parents/students to do and/or complete while they're there. 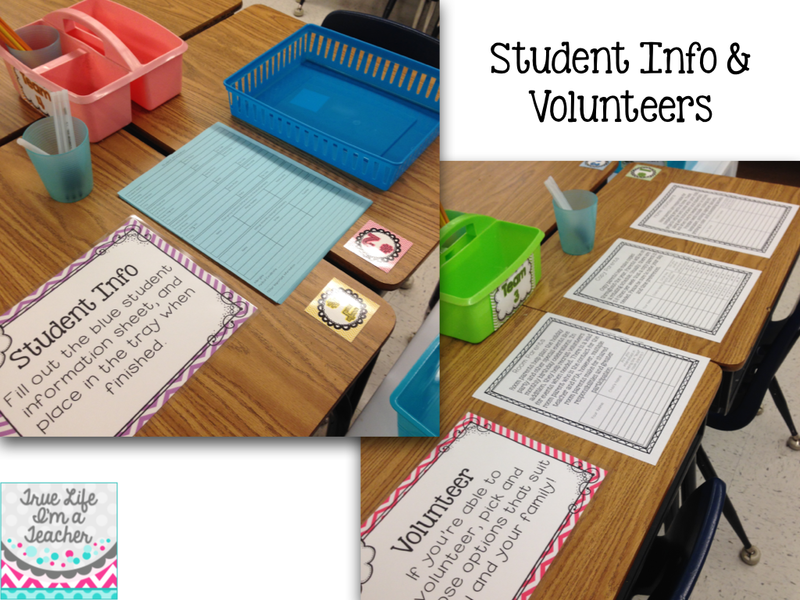 Before I used stations, there was inevitably a line of parents and students and no one really knew what to do (including me, HA!). It was awkward, and there weren't enough to me to go around and answer questions. Stations provided the perfect solution. 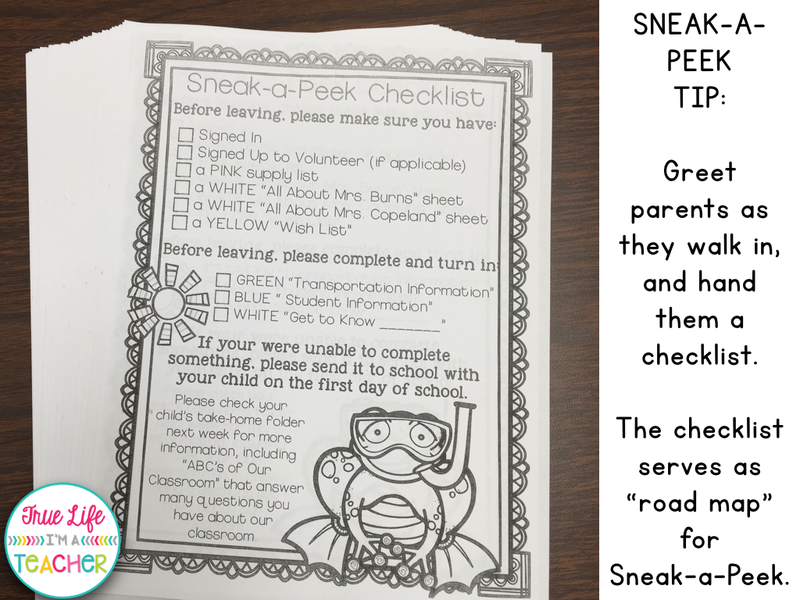 Basically, parents can move at their own pace through the stations. In addition, they're spread out around the room, so there are no clumps or lines of people just waiting for a pen to become available. Bonus? 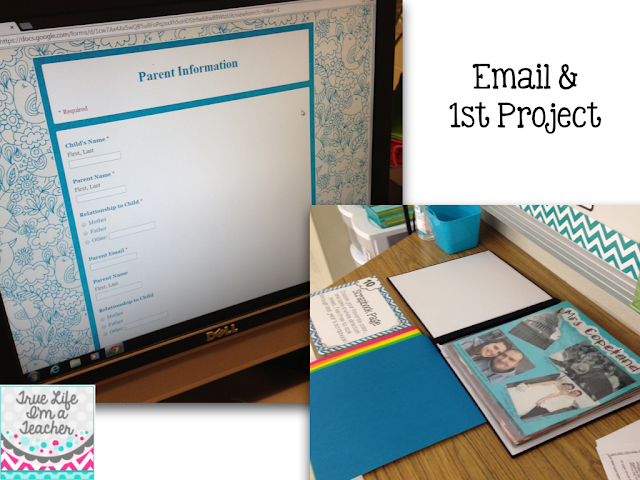 Parents LOVE how organized everything is. Each year, I get countless compliments from parents who share how impressed they were at the organization, and efficiency of the evening. There's nothing quite as important as making a good GREAT FIRST IMPRESSION! Here's a look at the checklist I give parents when they first walk in. I also quickly explain how the room is set-up. 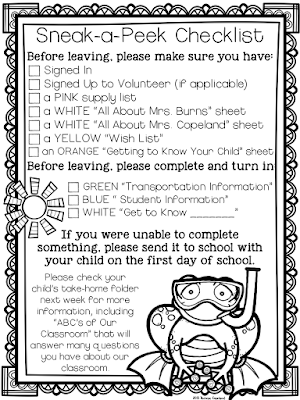 This checklist is specific to my class (I'm co-teaching, which is why you see two teachers' names). Interested in ALL the stations and forms I use? 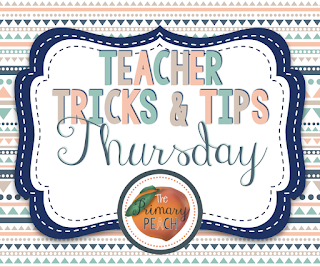 You can find the entire product, here, in my TpT store! 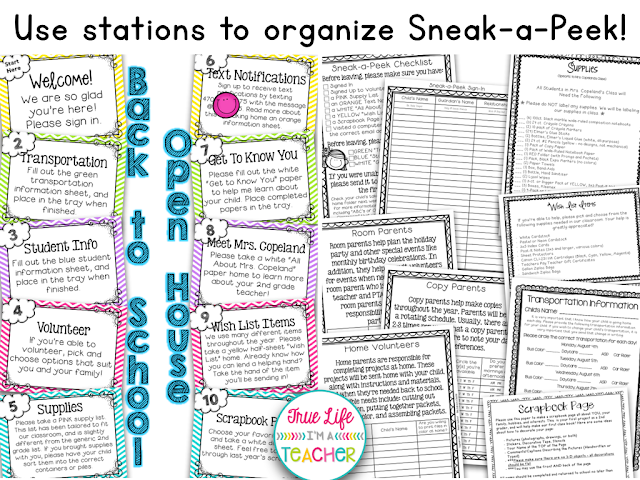 There are 10 stations (PDF version and an EDITABLE version). 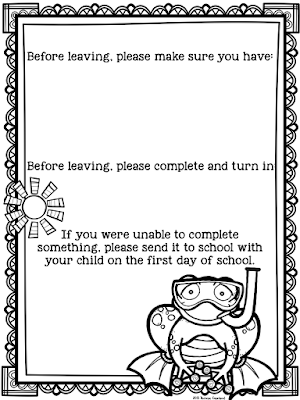 PLUS, 18 back-to-school forms, many of which are EDITABLE as well! Hey! This is such a great resource! Do you have parents fill out that email page right on your computer in the classroom? Or is that listed on a paper to do at home? Your such suggestions are so helpful. I like the way all the papers are color coordinated. Thank you, Beti! The color-coordinated papers save me SO much time! The academic reflective essay is easy to write only if you believe in doing things with more easiness. This sound odd but practically it is easy. What is GoNoodle and How Does It Work?